Our children are both typical and unique. While they possess many qualities in common with all children, each is an individual. Each has his or her own tastes, thoughts and spirit. Each has particular needs and goals – capabilities and strengths that must be nurtured, foibles and weaknesses that must be overcome. We know that understanding and responding to this complex medley of characteristics is a challenge, even in daily parenting. So how do we, as parents, determine which school offers an environment that best suits our child’s specific combination of qualities? What instructional methods will most benefit our child’s learning style? What makes a certain school better for one child than another? Among the most obvious factors is curriculum – mathematics, science, reading and writing programs. Next, of course, is faculty and staff, as well as available resources – research facilities, laboratories and up-to-the-minute technology. Just as important as what children learn is how they learn. Does the school’s philosophy allow for different learning styles and incentives? Will each child be allowed to develop particular interests and work at an appropriate level for his or her ability? Next to consider is the social aspect. School is a place to learn not only facts and dates, but how to get along in the world. What sorts of extracurricular activities are offered? What opportunities will your child have to develop independence, self-confidence and collaboration? Families have a wealth of options for their children’s education, in both the public and private sectors. All of these schools are committed to providing academic excellence, as well as a strong liberal arts education, to produce knowledgable, well-rounded students who are ready to step into the workplace of the 21st century and exact positive change in their communities. Subjects such as philosophy, foreign language and current events encourage problem-solving and tolerance. Art, theater, music and dance stimulate self-expression and creativity. Exposure to classical literature, drama and music create an appreciation of the past. Opportunities for spiritual reflection and service to the community develop citizenship and character. Education can help to build a strong foundation for your student’s emotional, social and mental development. It’s also a guaranteed pathway toward a happy and prosperous life. Students who are equipped with the requisite academic, interpersonal and technical skills to succeed beyond school are more likely to land the well-paying jobs of the future. New initiatives at our region’s schools are embracing this reality of the 21st century workforce by successfully preparing students for life beyond. Our children can live a prosperous life in the northwest suburbs, and it’s their quality education that will propel them to success. Here, Northwest Quarterly profiles area schools to assist parents in making this all-important decision about their child’s education. Westminster Christian School is driven and passionate in its commitment to educate and equip the next generation of leaders to be Christ followers, servant leaders and culture influencers. Students experience an environment built to help them flourish. Westminster Christian School believes that faith, learning and living should always be woven together. Since beginning in 1978, as a ministry of Westminster Presbyterian Church, with 24 students in kindergarten and first grade, the school has grown to a 36,000-square-foot facility on 22 acres in Elgin where it continues to thrive today. Students enjoy a wide variety of opportunities in athletics, fine arts, clubs, service, academic competitions, discipleship groups and much more. Westminster, which is accredited by the Association of Christian Schools International, inspires students to discover God and his creation, develop their unique gifts and abilities, and display Christ confidently in their lives. Students have access to exceptional and distinctive academic programs for all learners. Those needing a greater challenge will find an academic pathway filled with extended learning opportunities, advanced curriculum, honors-level and AP classes. Westminster also provides a resource department for those requiring extra support and academic interventions to foster success. Recognizing the wide range of student needs, Westminster offers three diploma tracks for high school students. There is a scholars diploma for the exceptional student seeking an academic experience characterized by honors and AP classes. The college preparatory diploma is given upon successful completion of Westminster’s standard – but by no means ordinary – academic program. Finally, a high school diploma is offered to those receiving necessary academic adjustments and support. Each diploma uniquely equips every student to pursue a college degree. The school’s ACT scores have been strong. The top five percent of students earned an average score of 32.9, the top ten percent scored 31.4 and the top 25 percent scored 28.9. The school’s overall average for all learners is 23.7. Westminster’s international program welcomes students from all cultures around the world to experience a caring and supportive environment that will help prepare them to achieve their educational goals. Since first hosting international students in 2005, Westminster has hosted international students from many different countries, including China, Korea, Spain, Ghana, Vietnam, Peru, Russia, Philippines and Mongolia. From the science rooms and labs to the Mac computers used for digital design courses, Westminster has the facilities and tools students need to excel in the classroom. The school has Smart Boards in all classrooms, wireless connectivity to support personal devices, a dedicated computer lab, and mobile laptop/tablet classroom carts. The campus also features a gymnasium, baseball field, football/soccer field, practice field, elementary school playground with newly installed equipment, mezzanine overlooking the gym floor used for cheerleading practice, batting cages and other multi-purpose uses. 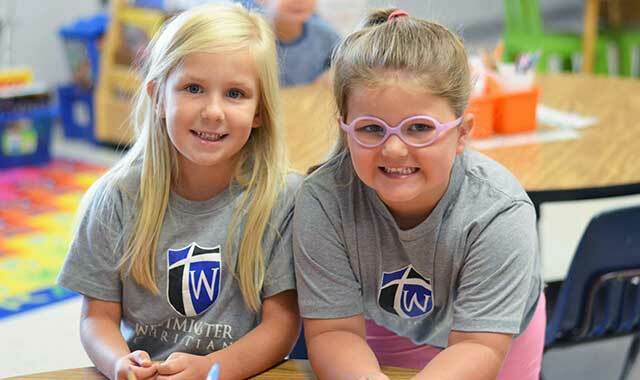 The future remains bright for Westminster Christian School, a one-of-a-kind community where students and parents say there’s nothing like being a Westminster Warrior. Trinity Oaks Christian Academy is an independent, nondenominational Evangelical Christian school. Its goal is to equip the next generation with wisdom, knowledge and character to impact their world for Christ with a servants’ heart. The mission of Trinity Oaks is to partner with the Christian home and church in the training of children, which maximizes their potential to lead Christian lives according to biblical standards. God and His word are interwoven throughout the entire learning process. The educators also believe in an exemplary and challenging academic program. The school is accredited by the Association of Christian Schools International (ACSI) and AdvancED. It’s also recognized as a member of the Junior National Honor Society and the National Honor Society. 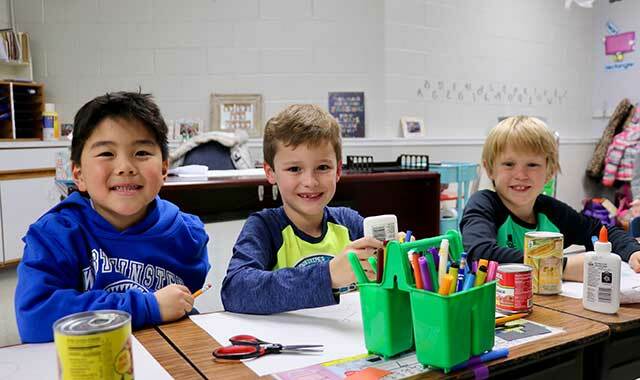 Students at Trinity Oaks can take advantage of a state-of-the-art technology lab, an indoor playground and a gym that was outfitted with a brand-new fitness center this year. There are also opportunities for training in music, drama and interactive chapel services. Each classroom is equipped with Smart Boards, and hands-on science instruction is a core of the curriculum. “Trinity Oaks has earned academic bragging rights,” Raeside says. “Students participating in Trinity Oaks’ co-curricular programs have qualified to compete in the Illinois Junior Academy of Science State Science Fairs and regional and national Spelling Bees, but that’s not all. Trinity Oaks has a college preparatory curriculum that helps students with preparing for college entrance exams, preparing for interviews with college representatives, selecting a school and writing a resume. When it comes to athletics, clubs and extracurricular activities, Trinity Oaks offers similar sports, arts, clubs and music programming as public schools with the added bonus of optional classes during the summer holidays. Students in all grades are involved with giving back to the community by playing games and doing crafts with residents at a local assisted living center. In addition, during the holidays, each class chooses a charity to support. In the past, Samaritan’s Purse, Feed My Starving Children and Chicago Juvenile Detention Center have benefited from the generosity of Trinity Oaks’ students. Cathryn Ilani noticed a demand for a school that could provide an exceptional education for gifted and academically talented students, so with more than 24 years of experience in education, she founded The Einstein Academy in 2002. It’s been serving the particular needs of academically talented students ever since. The Einstein Academy has a goal of meeting individual needs and allowing children to progress without pushing them too fast or holding them back. Limiting each class to 14 students allows teachers to individualize lessons. Teachers focus on knowing each child and recognize that each child learns differently. The school offers its students a very interactive and challenging curriculum that helps nurture each child’s individual strengths. With an educational program conducted in a nurturing, safe, positive and supportive environment, the Einstein Academy is sensitive to the special needs of its gifted and talented school community and develops its education program accordingly. Accredited by the AdvancEd accreditation commission, the Einstein Academy is interested in increasing enrollment and programming in STEAM research (Science, Technology, Engineering, Arts and Mathematics education) as well as creative arts. The school also has won many awards and is involved with the National Honors Society, the Mathematical Association of America and the National Latin Exam. With a staff of master teachers, most of which have advanced degrees, the Academy provides students with noteworthy experiences other children would not have until later in life. The Academy also incorporates environmental education as part of the school’s curriculum. Among other things, the academy works with The Department of Natural Resources and Friends of the Fox as monitors of The Tyler Creek Watershed. Students learn how to collect and record biological, physical and chemical data on the creek while monitoring a tributary of the Fox River. At the high school, most core classes are advanced placement or honors, providing extra rigor for college applicants. Juniors and seniors also have the opportunity to earn dual credits from Elgin Community College, thus earning college credits while still in high school. The Academy also organizes local field trips throughout the year, in addition to national and international educational field trips every other year. In the past, students have visited Rome, Greece, Costa Rica, Disney World and Sea Camp. 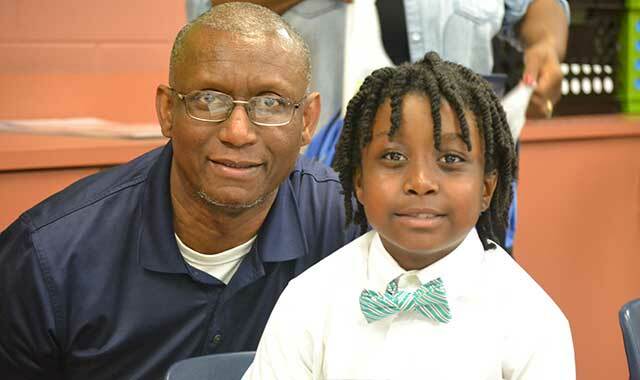 In addition to providing a quality education, The Einstein Academy provides before/after-school care, extracurricular activities, sports and tutoring services. This entry was posted on Tuesday, January 9th, 2018 at 12:00 pm	and is filed under Mind & Spirit, Top Posts. You can follow any responses to this entry through the RSS 2.0 feed. Both comments and pings are currently closed.